Laguna Hills, CA – March 27, 2019 – General Motors is recalling certain 2016-2018 GMC Sierra 3500 and Chevrolet Silverado 3500 pickup trucks equipped with gasoline engines and dual fuel tanks. If the fuel level sensor in the front tank becomes stuck in a low-level position, the fuel transfer pump may continue to pump fuel from the rear tank to the front tank even after it is full, causing an overpressure condition in the front tank. As many as 18,574 vehicles may be affected. According to the National Highway Traffic Safety Administration report on this problem, the fuel level sensor in the front tank may stick in a low-level position, allowing the rear tank to overfill the front tank. In rare circumstances, the front fuel tank could expand and contact a moving drive shaft, which could create a hole in the front fuel tank and allow fuel to leak. If this happens in the presence of an ignition source, a fire could occur. Customers may hear a grinding or knocking noise if the overpressurized front fuel tank contacts the moving drive shaft. GM originally recalled certain 2011-15 heavy duty trucks equipped with gas engines and dual fuel tanks for the same issue starting Oct. 12, 2017. Although the automaker saw no indications at that time that the condition existed in similar trucks built after 2015, it began to monitor field data for later model years. 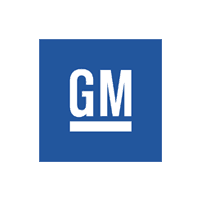 GM conducted an initial review April 16, 2018 and a subsequent review Oct. 28. GM’s Open Investigation Review board looked at potentially relevant new field reports identified through the monitoring process Nov. 28 and decided to open an investigation into applicable 2016-18 trucks. The investigator reviewed the new field data with GM’s subject matter experts. It was found that the problem may be present in vehicles built before the carmaker began using a new low pressure fuel pump in October 2017, but there was no evidence that the condition existed in vehicles equipped with the new fuel pump. As with the previous recall, the issue was limited to heavy duty trucks with gas engines and the dual-tank option, and the only trucks produced with those options were the 3500 series chassis-cab vehicles. The Open Investigation Review board reviewed the results of the investigation Jan. 28, 2019. As a result, GM’s Safety & Field Action Decision Authority decided Jan. 31 to launch a safety recall for heavy duty trucks built between 2016 and 2018, before GM began using the new low-pressure fuel pump. The recall began March 5, 2019 when owners were sent an interim notification. A second notification will be issued when the remedy becomes available. Dealers will replace the rear tank fuel pump module free of charge. Dealers will also inspect the front tank and replace if necessary. Courtesy transportation is available for customers whose vehicles are involved in this recall and are within the warranty coverage period. GM’s number for this recall is N182204190. Owners may also contact the NHTSA Vehicle Safety Hotline at 1-888-327-4236 (TTY 1-800-424-9153), or go to www.safercar.gov. The NHTSA Campaign Number for this recall is 19V088000.